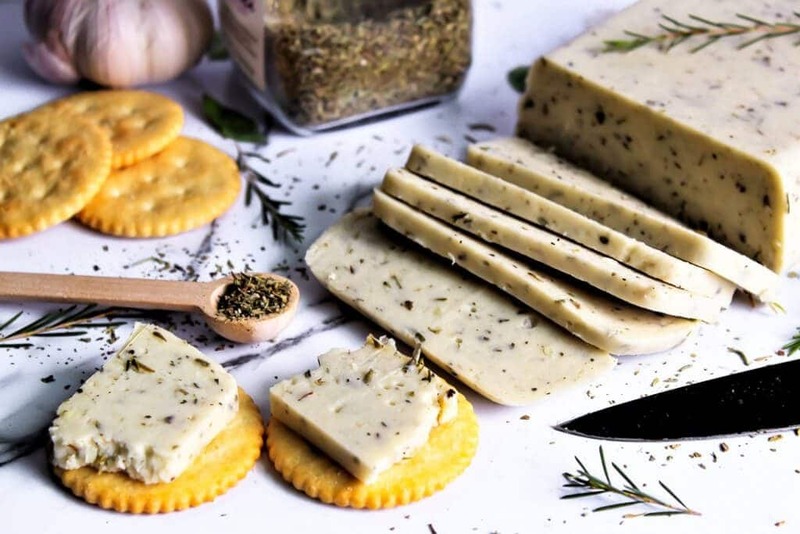 This vegan cheese with garlic and herbs is perfect for slicing and eating on crackers. Dairy free, gluten free and nut free, everyone can enjoy this creamy and delicious cheese. What do I need to make vegan cheese? • Full fat coconut milk gives this dairy-free cheese a rich creamy texture. • Salt and nutritional yeast give it the cheesy flavor. • A small squeeze of lemon juice adds a little cheesy bite. • Agar-agar is a white powder made from seaweed, and it acts like a vegan gelatin making the cheese firm. (It comes in flakes or powder, but use the powder. It is less expensive, you need less of it, and it blends easier and smoother. You can find great prices on it at most Asian markets or you can buy it on Amazon as well). • Finally, a little tapioca flour gives the cheese a little stretch when it melts. Put all together, and it makes the perfect vegan cheese. How do I make vegan cheese? Simply put all the ingredients into a saucepan and stir with a whisk. Heat to a slow boil stirring constantly for 6 minutes. This allows the agar-agar to melt completely and set properly. (It may seem ready after 3-4 minutes but keep it at a low boil for 6 minutes to make sure that it is completely smooth). Then pour into any shape container that you wish. (One batch makes almost 2 cups of cheese). I like to use these Snapware containers because they are made of glass and won’t affect the flavor and they have a lid with a good airtight lid to keep the cheese fresh longer. How do I flavor the cheese to with garlic and herbs? Two to three cloves of minced garlic and 2 tsp. of dry or fresh herbs of choice flavors the cheese nicely and make the perfect blend of flavors. Does this coconut cheese taste like coconut? If you flavor the cheese with garlic and herbs, there is almost no taste of coconut. My son who hates the flavor of coconut still loves this cheese when I make it with garlic and herbs. How can I make this cheese melt well? If you want to use this cheese to make a grilled cheese sandwich or a quesadilla, simply add 2 additional tbsp tapioca flour (this will equal a total of 2 tbsp+1 tsp) to the cheese mixture before cooking. This will make the cheese softer so it melts and stretches when heated. Do you want gluten free cheese and crackers? This cheese recipe is naturally gluten-free. However, if you want gluten-free crackers that taste good, that’s harder to find. I started using quinoa to make my own crackers. You won’t believe how easy and simple it is to do. You can check out these my gluten-free cracker recipe that will amaze you here! What are some other ways to flavor vegan cheese to make new varieties? 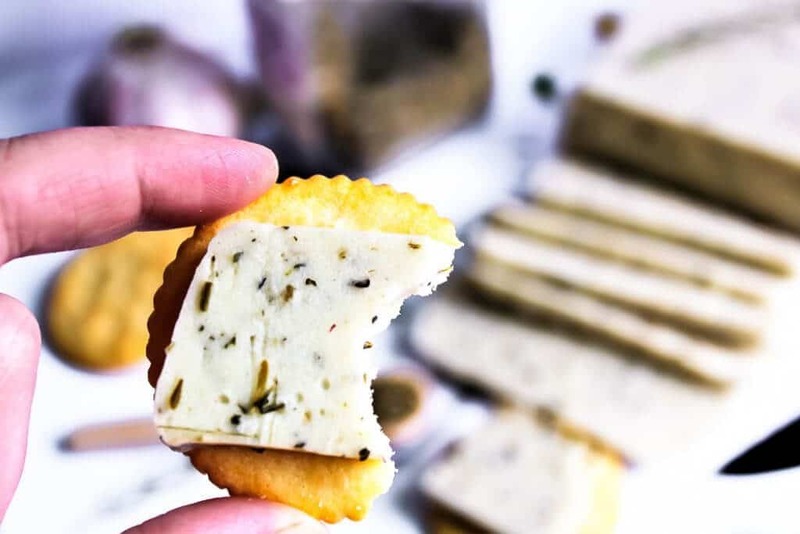 My family’s favorite varieties of vegan cheeses are this garlic herb as well as smoked gouda, provolone, and mozzarella. 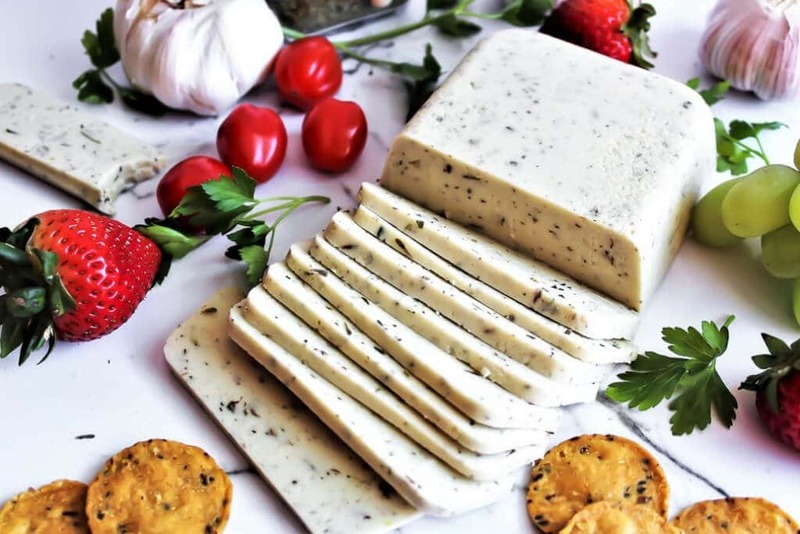 A basic recipe for making vegan cheese with garlic and herbs made with coconut milk. Free of gluten, soy, and nuts. Hello I was wondering if you could add rejuvelac to the recipe? I’m so excited! I’ve never tried making cheese, much less vegan cheese. I have got to try this. It looks like the perfect thing to pair with crackers. Thank you for this recipe. I just made my first ever vegan cheese and it’s really yummy,. But my cheese is very soft. I can’t cut it into slices. It’s spreadable. It looks like I used to much liquid. With all the ingredients mine did not look like in picture 2 even not after over 10 min cooking time. I had to add about 24 g of agar agar and two tbsp more of topic flour. Can you tell me which weight the coconut can has? Maybe mine is bigger here in Europe then this one you have in USA? I use 13.5 oz cans of coconut milk to make this cheese. If you want a firmer cheese, leave out the tapioca flour. The tapioca makes it stretchy and better for melting, but it will not firm up as much. I like to leave it out completely for cheese that I will just slice for crackers. I only use the tapioca starch for cheese that I will melt on pizza or quesadillas. (Did you use agar agar flakes or powder? That may be another issue since the powder is more concentrated than the flakes. If you are using flakes, you will need more). Hi! I’m excited to try this recipe! Do you think this would work with regular coconut milk and not canned? I try to avoid using canned food. Thank you so muvh for this recipe! I just got my first batch into the fridge and am looking forward to a grilled cheese with it tomorrow…I added the 2 tbsp extra tapioca starch to make it stretchy. I’m hopeful this recipe will work out just in time for some dishes I want to make Christmas Eve. I tried all of your cheeses …they are all great. This one is SO good on crackers. Thanks for posting! 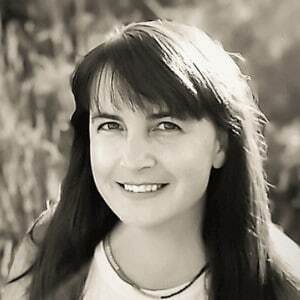 Thanks Sarah! I’m so happy that you like them as much as we do! I just made this cheese and I must say it is the best vegan cheese that I have tried! So rich and creamy and the herbs flavor it perfectly! What is the size of the coconut milk can you use? Thank you. Can I use gelatin instead of agar and coconut flour instead of tapioca? Since gelatin is not vegan, I have never used it. I think that it would work, but I don’t know if the ratio would be the same. There is no substitute for tapioca flour, nothing else will give the cheese the same stretch. You can just leave it out and have a firm cheese that’s great for slicing and eating cold, but if you want it to melt and stretch, you have to use tapioca flour (aka tapioca starch). Hope it works for you! Hi can I use soy milk instead of coconut milk? How do you think coconut cream would work? I’m still trying to find a homemade vegan cheese without a weird consistency and hope this will be it! Thank you for sharing! Just wondering when using the coconut milk if you discard the water in the can or mix it with the solid in the can. This looks delicious! I can hardly wait to try it. Your homemade crackers also look amazing. Thanks. Will xanthan gum work instead of or subbing in for some of agar ? Had an idea to add brewers yeast towards end to minimize nutrient boil-off , any thoughts on that ? Very much so. Boil thickening agent separate, po$$ibly use le$$. Will probably apply concept to some other recipes, so, thank you. This recipe looks like the answer to my prayers with non dairy cheese in the supermarket being a ridiculous price, that tastes disgusting with crackers! Love the idea that you can also melt it. Mmmm…….miss melts toasty cheese sandwiches! Just wondering how long it would keep in the fridge? Do you reckon I could grate it and freeze it? Very many thanks Nikki ? Would love to make this recipe but I have an allergy to garlic ( as well as to dairy, eggs, and a few more) so this sounds good for someone with allergies. Can I leave out the garlic or sub with shallots which I often do in recipes calling for garlic? I hoping it would not alter the taste. Hi Catherine. You can definitely leave out the garlic. You can use what every you would like to flavor the cheese instead. Shallots, green onions, or chives would also give it a nice flavor. Just make sure to chop them up very fine. Hope you enjoy it!